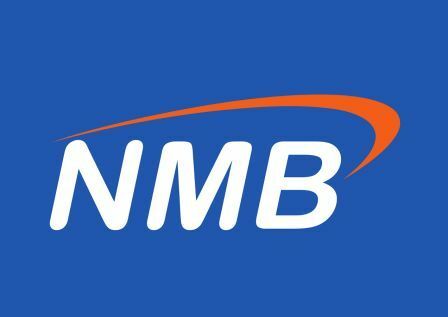 Home BANK JOBS GENERAL JOBS HUMAN RESOURCES MANAGER AND OFFICER SALES & MARKETING Nafasi 5 Za Kazi - National Microfinance Bank (NMB). Nafasi 5 Za Kazi - National Microfinance Bank (NMB). Provide leadership in defining and implementing the agency banking operations support objectives, driving usage, improve operational excellence, cost management and compliance to internal policies and bank approved guidelines. Act as interface between agency banking, internal and external stakeholders to ensure effective and efficient operations, manage and provide support to the projects and system changes. Responsible for drive operational efficiencies in areas of agents on boarding, increase usage and transacting customers including agent network support maintaining smooth operations. Monitor agency banking productivity on agents operations in on-boarding and transacting customer growth. Manage agency banking compliance to internal policies and external policies, ensuring that the Bank of Tanzania (BOT) guidelines and banking policies on agency banking are adhered to by our partners and agents. Manage agency banking product operations and processes, including reconciliation with third parties, daily monitoring and reporting on operational indicators and performing operational reports to support finance, sales, distribution, customer service and risk and compliance teams. Work with agency banking risk implement AML and compliance controls and monitoring, data clean up and sanitization, reconciliations, audit, fraud management, Central Bank Reporting and oversight support. Work cross functionally internally and with external partners such as vendors, aggregators, and institutions amongst others to execute brilliantly projects ranging new products conceptualization to launch, integrations and change requests. Ensure technology platform is delivering great customer experience in terms of ease of use, uptime and all functionalities working. Periodic product testing to drive proactive fix. Drive continuous improvement of processes to ensure our customers, agents and aggregators get excellent service on time, ensure business continuity and systems uptime. Oversee and participate in the review, design and implementation of departmental work plans and report quarterly on compliance with the work plans. Manage the implementation of consumer and business products and services for the agency banking division, working with all technical and commercial teams to launch approved products and services. Develop, amend and manage processes and procedure for agent banking operations i.e. PIN Reset, Reversal etc. Manage the implementation of approved change requests pertaining to tariffs, business rules, and improvements to technical /service functionality, working with all technical and commercial teams. Oversee delivery of agency banking projects in full and working with varying internal and external partners, safeguard structured SLAs to be in place with focus on more for more principle to drive accountability of all stakeholders. Propose and implement changes to processes and procedures for agency banking operations and coordinate the development of manuals and guides for agency banking products and services. Make decisions for any operational changes (planned or unplanned) within the bank organization that materially impact the product portfolio in conjunction with Head; Agency Banking. Ensure Service Level Agreements (SLAs) with stakeholders are met. Develop SLAs with shared services teams/stakeholders and ensure adherence to the set standards. Track and monitor performance of shared services teams/stakeholders to ensure targets are met. Manage agency banking integrations and implementation for new and existing products and services. Keep an updated record of the ongoing partner integrations and manage the integrations partner SLA’s, logged and ticketed with the integration partner and manage delivery timelines. Coordinate and conduct UATs (User Acceptance Tests) for integration and product enhancements and attain sign off for the same and implementation of new services and product enhancements by development partners and local technical support. Comprehensive knowledge of Bank of Tanzania rules and regulations. Knowledge of risk and regulatory of the agency banking and/or mobile financial service industry. Product development, roll out and product performance management. Product and business development skill. University Degree preferably in Business Administration, Banking, Finance or any Business related field. MBA or any Master’s degree in Business related field is an added advantage. A minimum of 4 years’ experience, at least 2 years in a leadership role with deep knowledge in agency banking and/or mobile financial services business operations management, risks, finance and compliance. Provide leadership in areas of sales, commercial and distribution for agency banking business that enable the bank achieve its ambition and strategic vision. Responsible for design, monitor and drive the performance of agency banking in the branches and our stakeholders for productivity management and increase both direct and indirect channels usage to meet overall revenue objective. Drive agency banking business growth, Keep track of the overall performance of the department and Zones to ensure that the annual targets are achieved. Revenue planning and target setting for agency banking, aligning with strategic roadmap and revenue expectations. Provide sales and service leadership to drive the performance of the branches (process and structure) in joint responsibility with zone for staffing and productivity management. Provide guidance and ensure that the business interests are presented to the regulator using the correct stakeholders. Understands basic revenue models and P/L; meets financial objectives by forecasting; preparing an annual budget; scheduling expenditures; analysing variances, performance reviews and initiating corrective actions. Conduct continuous product reviews, craft and develop new products as well as enhance existing ones depending on the market and customer needs changes as informed by market intelligence. Performing quarterly update thereof and a strategic analysis of the progress in achieving the agency banking roadmap goals. Design and implement service experience and carry out branding of agents including training of agents, field officers and Relationship Managers for exceptional delivery of our service to customers. World Class Customer Experience to ensure our customers and partners rate us as most preferred and drive loyalty index to peak. Analysis of customers (both agents and users) behaviour patterns through various parameters to generate insights to increasing revenue, transacting customers, liquidity growth and churn management including but not limited to technology development. Develop strategies to maximize growth, revenue and budgets to support the strategic plans. Ensure all Agency Banking Managers and Branches management analyse commercial trends, understand actions to be taken and own the business they manage and have full visibility and understanding of agents, customers and revenues on daily basis for the business as a whole as well as the costs the services generate. Monitor the performance of branch and zonal agents and provide feedback to Zonal Managers; support the branches as far as agency banking is concerned. Manage the partners through the SLA’s that are in place ensuring that any under delivery is penalized in line the agreements. Research and screen potential agency banking opportunities and advice on which ones need to be pursued further. Develop, foster and maintain effective relationships with various businesses through the internal and external stake holders. Manages project issues, risks, dependencies and assumptions. Submits project status reports to stakeholders, managing escalations where necessary to address project risks. In-depth knowledge of agency banking Business, understanding of banked and unbanked customer base, market segments, pricing, products & services, knowledge of government policies relating to banking, BOT regulations, -bank policies & procedures. A proven self-starter with ability to work under high pressure environment and problem solving skills. A result driven 'team player', personality with a willingness and ability to work in a dynamic working environment. Proven people management, leadership and negotiation skills. Responsible for identifying, evaluating, and analyzing risks inherent to the agency banking operations and sufficiently address and mitigates them while ensure compliance. In effect to identify applicable Tanzania laws and regulations related to banking institutions and agency banking (including but not limited to Financial Laws) and ensure the division is compliant where applicable. Prepare and submit AML & CTF compliance status reports as required and on a regular basis. Perform a risk assessment and determine the level of associated risk. Implement a comprehensive review process of sample transactions and any activities within agency banking to identify suspicious transactions and activity systems. Ensure all staff understand agency banking applicable laws, regulations and offer timely advice. Designed and develop key business process and policy documents to enhance business process optimization, risk assessment and internal controls. Maintain an updated regulatory obligations register for agency banking department. Define and maintain the strategic and tactical business risk/controls matrix for agency banking and provide regular updates to management. Oversee the fraud & revenue assurance function ensuring appropriate controls and process are defined and maintained. Ensure all documentation relating to the above responsibilities is available for both internal and Central Bank purposes. Maintain excellent relationships with all stakeholders within compliance, transaction monitoring and risk departments for agency banking department safe house-keeping. Ensure effective fraud controls and other key internal controls that makes the Company to have a Strong control environment in place that stands the test of audits and time. Design, develop and implement the agency banking risk and control matrices. Compliance with internal systems of control that are imposed to achieve compliance with the externally imposed rules. Periodically aid in the sensitization of staff on agency banking policies and procedures through well thought of awareness campaigns. Develop trackers to monitor compliance with laws, regulations and policies ensure regulatory gaps raised in all audit reports are sufficiently addressed and mitigates put in place to ensure no repeat findings. Risk assessment & fraud prevention. Data analytics and information management. Strong critical thinking and problem-solving skills. Detail-oriented with strong research and analytical skills. Forensic and process optimization skills. Strong mathematical and statistical analysis. University Degree preferably in Computer Science and Finance. A certification in risk and information and/or any Master’s degree in related field is an added advantage. Minimum of 3 years’ experience in financial services, fast-paced and dynamic environment. Responsible for developing, monitoring and supporting the growth of agency banking business by coordinate execution of sales strategy across the zones and management of both channels performance in line with NMB Bank strategy. Oversee execution of agency banking strategies across the zones to drive performance while ensure level of execution is in line with agency banking strategy. Revenue planning and target setting of all agency banking per products and services per segment and region. Work with all functions of the bank including operations, sales & service to define and deliver end-to-end customer experience on agency banking. Develop, propose and communicate Key Performance Index (KPI’s) aligning with strategic direction of agency banking business. Prepare, track and analyze the business financial KPIs. The ideal candidate will track the Head office and zone teams and highlight their performance in terms of financial KPIs. Monthly performance reviews of agency banking across branches and zones. Develop and propose model segmentation of the agency banking distribution network. Develop and coordinate supporting field team objectives and activities including performance review matrix and evaluations. Coordinate agents and staff training ensure the branches and staff are well trained in all new initiatives under taken on all agency banking channels. Coordinate product implementation between business; operations, technology and all third parties. Manage relationship of bank with aggregators including performance reviews and KPI’s. Oversee branding by feedback marketing activities, competitor’s scanning and product visibility across the channels including planning and distribution of agent’s materials. Develop promotions, campaigns and manage the projects to launch the same into the live environment together with stakeholders. Report monthly the evolution and growth of agent’s performance for agency banking channels. Preparation of BOT report regarding agent activity on monthly basis. Business understanding of agency network development, customer acquisition and agency network operations. Strong character in communication, presentations and negotiation skills. Proven ability of analysis and reporting. University Degree in Business Administration, Banking, Finance, Computer Science or Business related field. Minimum of 3 years’ experience in the banking industry, agency banking business, Mobile Network Operator (MNO), or any agency network channel management, with proven strong interpersonal skills and stakeholders’ management record. Prior exposure to agent network or FMCG operation /direct sales/agents support management/ would be an added advantage. Responsible for effectively monitoring of channel’s performance and usage, ensure effective support is provided to agents as escalated from the zone and contact center include maintenance/housekeeping activities for the agency banking systems and devices. Manage agents’ technical queries, sales support, channel partner’s support, monitoring and act as primary contact centre for agent’s support. Provide operations, administration, and maintenance support to the agency banking system. Be the main contact and go to person for all support solutions, projects and products for the agency banking business. Act as key contact point of contact for all technical queries/issues raised by wakala/agents and field team in the branches. Management for agency banking system and devices by provide basic troubleshooting, repair and maintenance for technical support to agents. Guarantee compliance of the agency banking platforms and controls are closed on time. Update incident and problem requests in a timely manner and safeguard status on major incidents are reported and resolved in line with agreed SLAs. Perform and support Operational Acceptance Testing for new systems releases and upgrades. Develop and maintain operations monitoring dashboards in order to provide real-time view of systems performance and general systems availability. Develop monthly support service reports by evaluate and report operations support performance. Support management to internal/external customers resolve technical conflicts between agency banking and vendors. Lead, manage, coordinate, and report on multiple complex solutions as per agency banking requirements. Provide support to agency banking projects and other system changes requests ensuring they are delivered on time and meet the expected business expectations. Support agency banking platform users i.e systems users, external system connecting to NMB Wakala etc. Negotiate priorities and resources with operations teams in order to assure plan accomplishment. Business understanding of agency banking. Understanding of agency banking platforms and devices. Reporting skills and data presentations for decision making. University degree in technology / engineering / Mathematics/ Computer Science or related areas. A minimum of 3 years’ experience with knowledge in agency banking operations support and/or MNO’s agent’s business operations support management, and proven strong interpersonal skills and stakeholders’ management record.